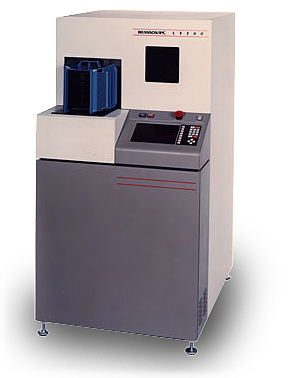 SMP Tech, Inc. develops and builds equipment for the semiconductor industry. We have experience designing robotic front- end tools, fixtures, instrumentation and test equipment used in the semiconductor industries. We are experienced in linking current technological resources and coupling them with the appropriate skills to produce high-quality, low-cost products in accelerated time frames. In addition to your engineering office we have over 6,000 square feet of assembly floor space available for assembling semiconductor equipment. We will analyze your technical requirements and specify a cost-effective solution to meet your particular needs. Our philosophy is to work as partners with our clients and to structure programs to maximize the use of their internal staff and facilities. We use COSMOSWorks and Geo-Star for our Finite Element Analysis (FEA) work; COSMOS is used in conjunction with SolidWorks. SMP Tech, Inc. has specialized expertise in providing top quality equipment on an original equipment manufacturer (OEM) basis. SMP provides the total engineering and manufacturing support for OEM accessories and robotic systems, including the initial design, documentation and ramp to full scale production. Our capabilities include mechanical, electromechanical, robotic system, fluid delivery systems, optical systems, MEMS, custom machinery, instruments and test equipment. We also custom design jigs, fixtures and specialized tools for resale and production aids needed to accomplish our assembly and testing processes.